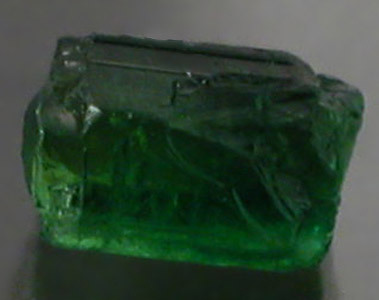 Mine Direct Tanzanian Chrome Green Tourmaline Facet Cab Rough! 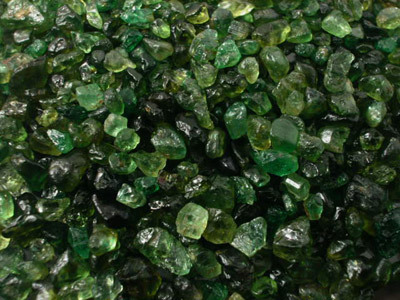 Olive Green to Yellowish Green Chrome Tourmaline lot from Tanzania. 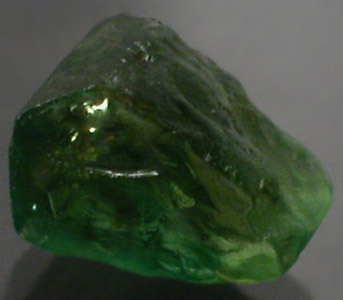 The parcel contains practically every shade of Chrome Tourmaline imaginable. This lot is composed of mostly sub carat material and is ideally suited for overseas cutting and/or creative jewelry projects. 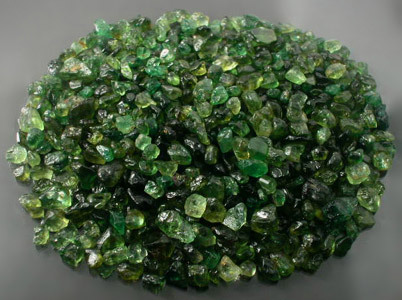 The lot is running roughly 25%+ Medium to High Grade Facet Rough with the remainder being a mixture of Cabbing rough and possibly some additional Faceting Rough. Many stones in the lot are nice and chunky crystal sections and/or nodules capable of giving above average yield. We are just blowing this out to make some room for new acquisitions. Take a look around and you will realize this is a deal NOT to be missed! 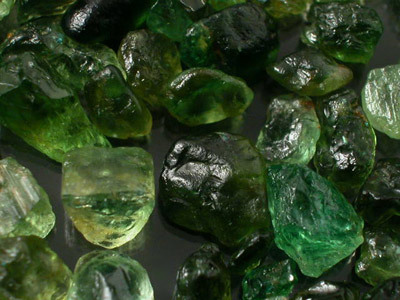 Tanzania has become a heavy hitter in the world of Gemstone rough in the last few decades and is producing more and more rough as the days go buy. 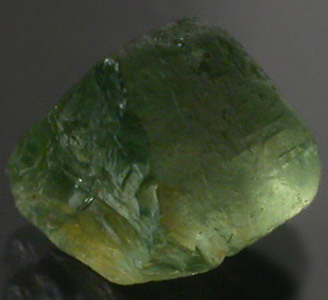 Tanzanian Sunset Tourmaline is characterized by a strong dichroism where the AB and C axis have a combination of colors running from a Golden Orange to a Golden Yellow and/or Grassy Green. 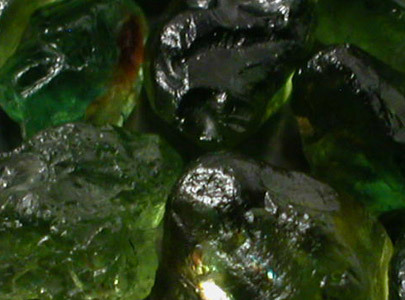 Many stones produce unusual finished gems due to this dichroism and can be highly sought after by collectors.